Up: an old photo of 1964 of the Autostrada. 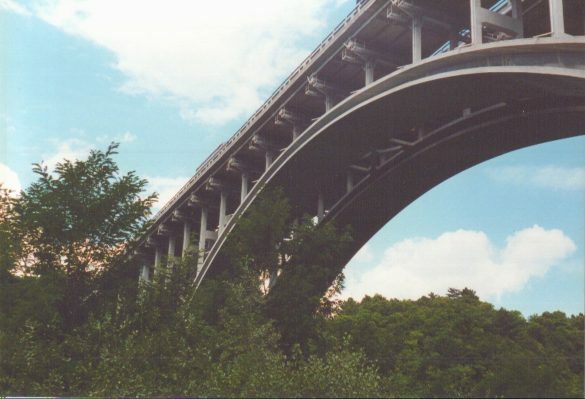 Here it's possible to see the viaduct of "Biscione". Every important viaduct or tunnel has got a name along the Autostrada del Sole. 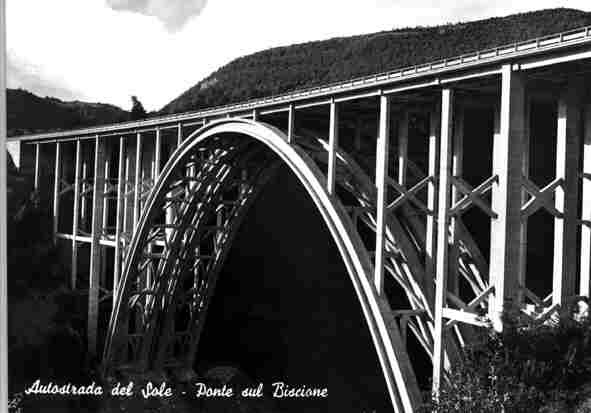 (old postcard) Down: the viaduct of Aglio ( Photo by author).